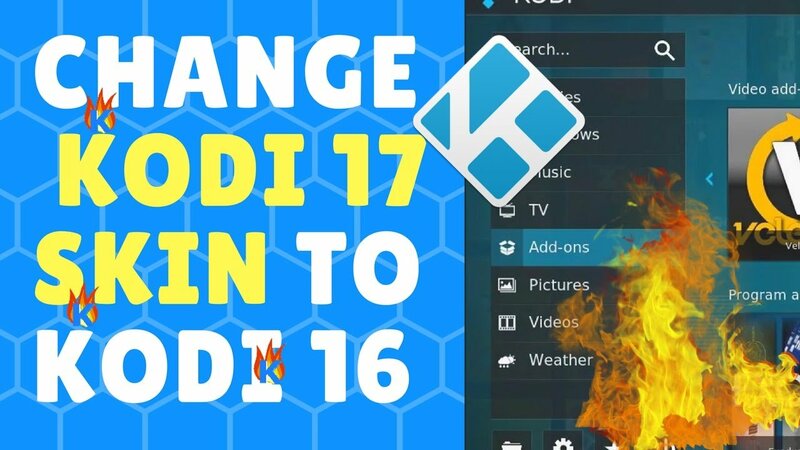 This guide shows you how to change Kodi 17 skin back to the “old” default Kodi 16 Jarvis skin. See the video tutorial immediately below this sentence – or use the written guide below that! What’s the name of Kodi 16 Skin (“default” Kodi Jarvis skin)? Confluence is the name of Kodi 16 skin. But you can change the Kodi 17 default skin to whatever skin you’d like. What is the name of Kodi 17 Skin (“default” Kodi Krypton skin)? Estuary is the name of Kodi 17.0 skin. Although Estuary is a great theme, most long-time Kodi fans will prefer good old Confluence. But the important thing is what is easiest for you to use. So switch to whatever theme you want! On which Kodi-enabled devices does this Skin-switch work? and all other Kodi streaming players. The default Kodi 17 skin is a new experience for most Kodi users. Therefore, you should make things easy on yourself and install the Kodi Confluence skin. This makes it easier to install TV Addons in Kodi. Since we are more familiar with the old Kodi layout, we install addons much faster by having Kodi run the old theme. How to Change Kodi 17 Skin BACK to Kodi 16 Skin: 1) Go to Settings, 2) Then select Interface Settings, 3) Now select "Skin", 4) Choose "Get More"